A factory collapse in Bangladesh this April called attention to unsafe factory conditions in the country. 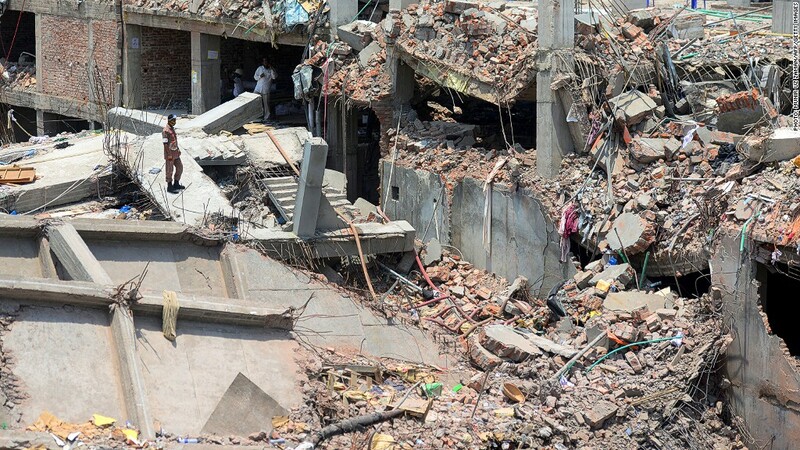 Major U.S. retailers announced a plan to improve safety conditions in Bangladesh garment factories Wednesday. The Bangladesh Worker Safety Initiative was developed over the past five weeks under the guidance of former U.S. Senators George Mitchell and Olympia Snowe through the Bipartisan Policy Center. It was signed by 17 retailers including Wal-Mart (WMT), Gap (GPS), J.C. Penney (JCP), Kohl's (KSS), Macy's (M), Sears (SHLD), Target (TGT), The Children's Place (PLCE), L.L. Bean and Nordstrom (JWN). The five-year initiative calls for inspection of all Bangladesh factories they work with within the first year and sharing the results publicly, common safety standards, a hotline for workers and an independent chair of the board of directors that is responsible for oversight. Members of the alliance are also responsible for funding the initiative, which is currently at $42 million. The agreement was announced a week after President Obama announced that Bangladesh would lose some of its U.S. trade privileges as a result of its unsafe labor conditions. International labor experts, however, said that the latest move by large American retailers is not very different from what they have already done and stops short of making meaningful changes. The developments have come in the wake of a series of garment factory accidents in Bangladesh that have claimed the lives of more than a thousand workers. The most recent was a deadly collapse of a factory building in May that killed 1,127, and came after two factory fires last fall that also killed over 100 workers. The incidents have raised awareness to unsafe factory conditions in the country. Global companies that source goods from Bangladesh have been under immense pressure to take action that will help avoid such accidents in the future. "The safety record of Bangladeshi factories is unacceptable and requires our collective effort," the CEOs of the alliance members said in a statement. "We can prevent future tragedies by consolidating and amplifying our individual efforts to bring about real and sustained progress." Scott Nova, executive director of the Worker Rights Consortium, said the agreement has a number of flaws that make it ineffective. For instance, inspections are completed by people the companies hire, not by independent bodies. There are also no real consequences for companies who flout the initiative's findings, he said. "Walmart, Gap and the corporations that have chosen to join them, are unwilling to commit to a program under which they actually have to keep the promises they make to workers and accept financial responsibility for ensuring that their factories are made safe," said the Workers Rights Consortium, an international labor rights monitoring organization. In May, many European retailers and a few American brands signed on to a legally-binding international agreement that called for independent inspection of factories. The agreement came soon after a warning from the European Union that it would pull back on its duty-free trade privileges if Bangladesh did not make its factories safer. Out of the 70 major companies who signed onto that accord, none of the large American retailers joined in. Only a handful of U.S. companies, including Abercombie & Fitch (ANF) and the parent company of Tommy Hilfiger and Calvin Klein, signed on.